For a seafood lover, Tasmania’s east coast is pretty close to paradise. The region’s clean seas and inland streams offer up some of the best fish and seafood you could wish for—oysters, mussels, rock lobster, abalone, deep sea fish and succulent freshwater trout. All along the coast, you’ll find coastal fishing villages brimming with opportunities to try Tasmanian seafood. Whether you want to meet the passionate producers behind some of the world’s best oysters and mussels, sit down to a seafood feast prepared by a master chef, tuck into hot fish and chips on the beach, or cast a line and catch your own dinner, the Great Eastern Drive will take you there. The marine farms of Tasmania’s east coast produce premium shellfish that is in demand and exported all over the world. Spring Bay Seafoods, at Triabunna is an award-winning certified organic seafood producer specialising in premium blue mussels and farmed and wild-caught scallops. 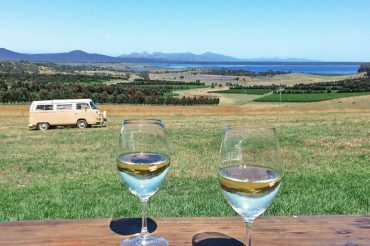 On a tour of the Freycinet Marine Farm at Coles Bay, you can savour delicate oysters and mussels, plucked straight from the sea and shucked before your eyes. Buy your own oysters, mussels, rock lobster and abalone, or enjoy fresh seafood prepared onsite and accompanied by Tasmanian wines and beers. choose your own crayfish from the holding tanks. St Helens is a fishing haven. Visit the town’s waterfront fish punts, to take your pick of the day’s catch, and buy freshly cooked fish and chips. One family-owned fishing punt, the Captain’s Catch, has evolved to become the Blue Shed Restaurant, Providore and Fishmonger. Select from the daily catch of fresh, live seafood, choose your own crayfish from the holding tanks, or enjoy freshly shucked oysters, à la carte meals and classic fish and chips. Wander along the esplanade and jetties to find other traditional fish punts and choose from the day’s catch. 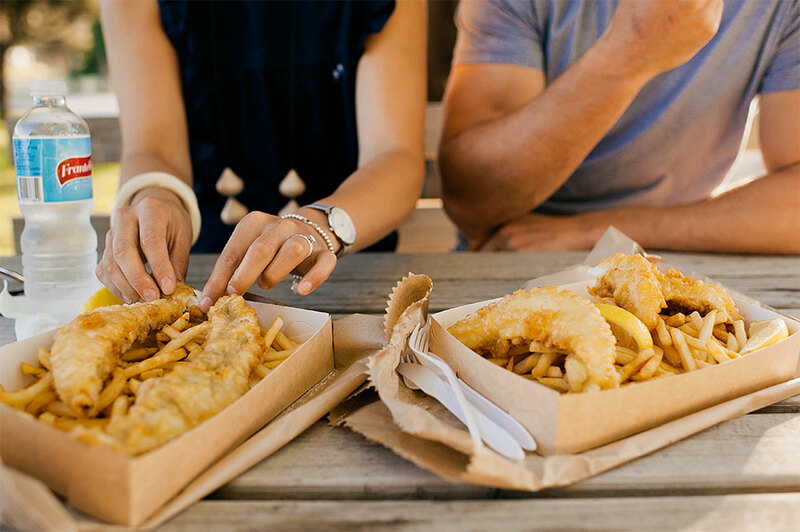 You can also buy fresh, tasty seafood at Salty Seas Seafood Market in St Helens, The Fish Van in Triabunna and Tasmanian Coastal Seafoods at the Gulch in Bicheno. If you’re interested in a takeaway menu that features locally caught lobster, then pay a visit to Oyster Bay Seafoods in the centre of Swansea. If you want to learn the best way to prepare your fresh fish, you could even join the Kiss a Fish Cookery School in Binalong Bay, to take a specialised seafood cooking class in the school’s custom-designed kitchen at the Bay of Fires Beach House. Given the quality of the fish and seafood that is sourced right on their doorstep, it’s unsurprising that many east coast restaurants specialise in local seafood and fresh Tasmanian produce. 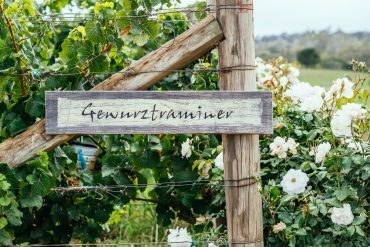 Savour fresh Tasmanian seafood matched with award-winning wines at Spring Vale Wines’ pop-up vineyard seafood restaurant, located among the vines on the estate, or visit Granite Seafood and Bar and Sea Life Centre in Bicheno, which specialise in fresh local seafood. Your options range from exclusive fine dining to the best fish and chips you’ll ever eat. Check our Dining Experiences to find out more. If you want to try your hand at catching your own fresh fish, fishing charters, boat hire and fishing gear are available in several towns along the east coast including Swansea, Triabunna, Coles Bay, Bicheno and St Helens. Check our Outdoor Experiences itinerary to get started on your east coast fishing adventure.